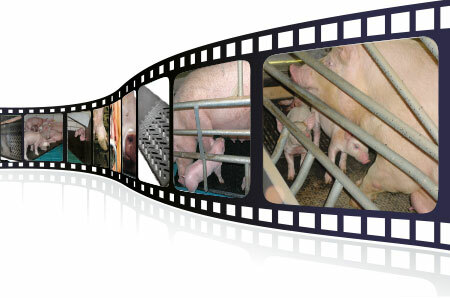 Watch our rubber floorings for gestating sows in group housing, for the farrowing house and piglet nests in practical use at various farms in many countries of the world. Learn more about product manufacturing and quality control. In this video you can watch our rubber floorings made of rubber for sows in group housing and in the farrowing house in the field. Are you interested in how the rubber floorings are manufactured and tested in the laboratory for durability and quality? In this video we show you.